First, Selamat Pengantin Baru to my friend, Ibnu Kaula. Alhamdulillah, selamat diijab kabulkan. Maaf tak dapat pergi, tak terurus masa sandiri. InsyaAllah, kalau berkesempatan akan pergi kenduri yang sebelah lelaki. Second, for my friend who have been reading my blog only when you're with me, stop it. Malu okay. You got my permission to read this 'cikai' blog, but never in front of me. Do it in your room, alone. LOL. Now, on Saturday 6th, I had a very hectic schedule. My club organised a running event, so we had to stay up the night before for preparation and stuff since the running starts at 7 a.m. (was delayed since it rained). I had to deal with police force for security purposes and the experience was not a pleasant one. I don't hate police officers generally, but I hate the person I had to deal with. So effing annoying, arrogant and condescending. Now, now, I want to let the memories fade away quickly. Nevertheless, the event was awesome. It was our first time organizing such a big scale event involving many people. I could say it was successful, alhamdulillah. The best part is, Inchik S came to KL that day! He took a bus and arrived at wee hour, so I had to pick him up at Pudu Central. I would do anything for him. Besides, like I said before, the whole crew and I were not able to sleep since we had to do some preparation. Picked him up and left him in my room for him to get some sleep and continue with my event. Because I can't contained my 'gedik' feeling (haven't me him for a quite a few weeks), I ran back to my room as soon as the last finisher completed his run. I did not even wait until the prize giving ceremony. All because I wanted to meet my beloved Inchik S, gitew. The reason he came because he wanted to buy something in KL. So I took him to The Curve as he requested. It turned out he bought a North Face bag, just a bag for RM495. Membazir betul. Still, I was happy he was here. 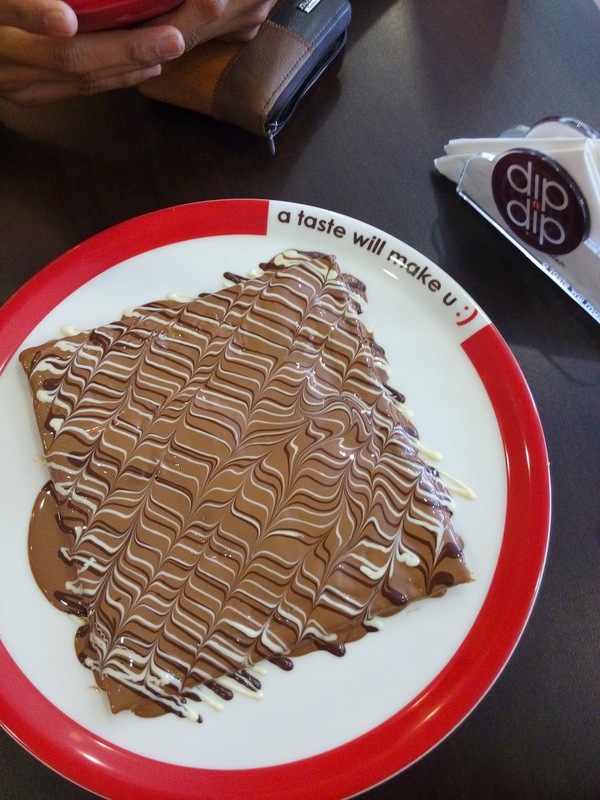 Since he was already here, we went to Dip n Dip and shared a Brownie Crepe. So romantic. I constantly put my hand on his shoulder, rest my head on his shoulder, walk while our hands grazed one another. Tergugat nafsu kot. I really do miss him, a lot. Being able to see him, and touch him made me feel so much gratitude. I don't care even if it is public or not, I just miss him. We took selfies like a lot and he seemed okay with that. We even poses in some pictures. And I uploaded a picture to Instagram with a caption, "Dip n Dip with (emoticon with love eyes)." He said nothing! Hahahahaha. I even waited with him for his bus back to Penang. Yes, he came for a one day trip since he had things to do the day after that. A bit disappointing but glad to hear he's happy and would love to do this spontaneous trip again. I smiled and am smiling. Inchik S, you just make my crush on you goes to another level. 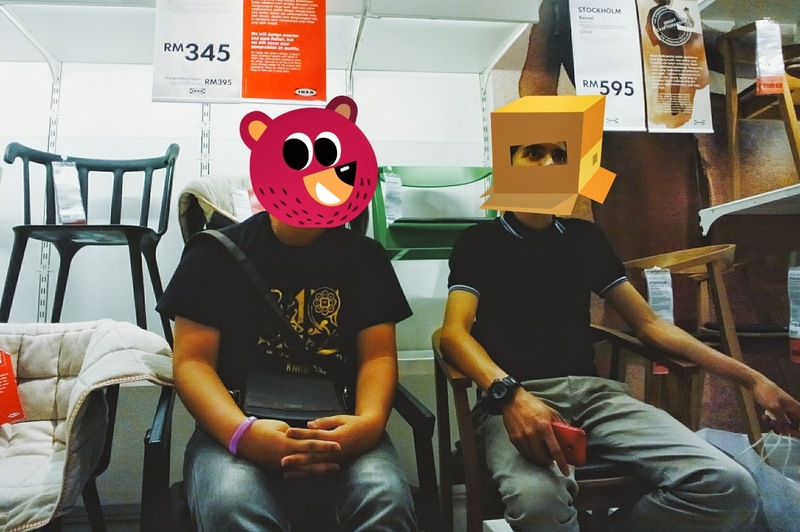 Dip n Dip with Inchik S.
At IKEA, I'm cheaper than him. Saya complete kan ek ayat atas tue ..
What is your dominant brain?